Anyone who has snacked on freshly made tortilla chips can attest to their addictiveness and vast superiority to mass-market offerings. 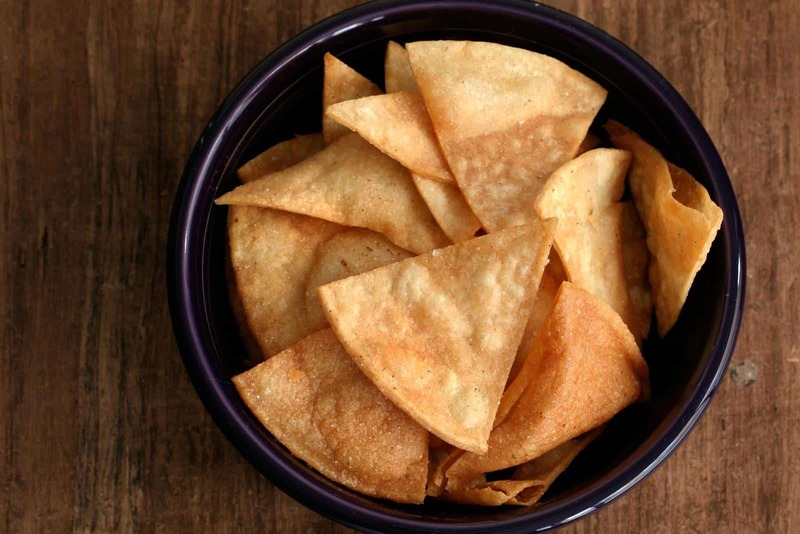 If you aren’t lucky enough to have high-quality tortilla chips available in your area, don’t fret because you can make your own with this recipe. It’s a bit of work, but you’ll earn plenty of friends. And it goes without saying that these are a natural pairing for guac and salsa. Arrange corn tortillas in a stack and cut into 4 equal wedges. Pour corn oil in a deep 2 or 3-quart pan and set on medium-high to high heat. When oil is hot enough to make a piece of tortilla sizzle, add tortilla pieces, a handful at a time, and stir to separate. Cook until crisp (1 to 1-1/2 minutes); lift from oil with slotted spoon and drain on slotted oven broiler pan, season immediately while hot, then transfer to a bowl lined with paper towels. Cook in batches and try not to overcrowd the chips.